One of the judges we have bagged for this year's YiA is no other than Sinead O'Sullivan. An aerospace engineer with previous experience at NASA, the UK and European Space agency, we are stoked that she is coming to Tauranga. 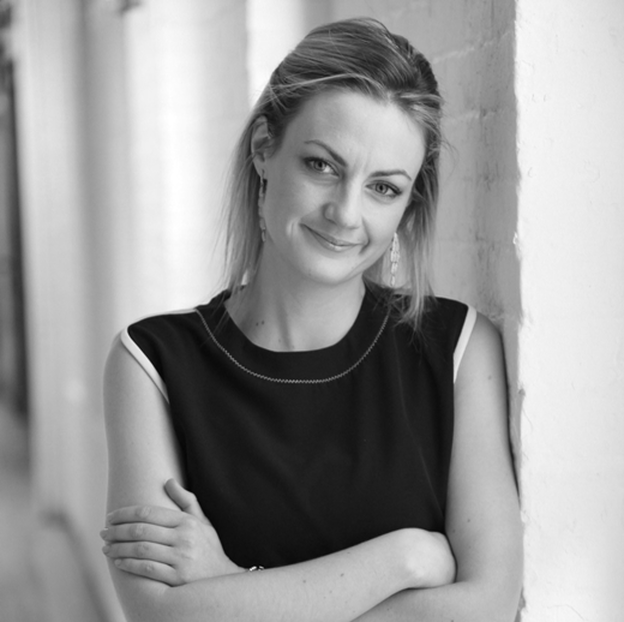 Sinead will be speaking at this year's YiA Forum on 10th August and judging this year's Young Innovator Awards. She will also be holding a space mission workshop for our shortlisted finalists in the Intermediate Category for building winning machines. Sinead is currently a female CEO for Fusion Space Tech in Silicon Valley, leading a team of engineers who combine space tech with artificial intelligence to provide humanitarian disaster relief while also advising the US Centre for Climate and Security on satellite technologies to fight climate change. Super genius or what! A: I think that the Young Innovator Awards is an excellent way to promote creativity and entrepreneurship at an early stage. I am particularly interested in promoting programs in New Zealand as I see it as a country that is far ahead in terms of innovation, and I believe that the young people of New Zealand have the culture and passion to drive forward future-thinking projects. I have many personal connections to New Zealand through the space industry and friends that I have met, and I would love to support this program as I know how much New Zealand contributes to global technology innovation, and I fully believe that this will increase over the next few years. Apart from that, I support many STEM programs across Europe and the US because I always learn something new and exciting from working with school students! A: My favourite innovation is something that plays a large role in our lives, all day every day- the internet. It has facilitated an entire ecosystem of technologies that have improved the lives of people all over the world; it provides education, communication and knowledge sharing. Almost every aspect of business or social relations today is touched by the internet and the subsequent industries that the platform has created on an international scale. Q: What's the piece of work you're most proud of? A: A couple of years ago, I was the Project Manager for a space mission design in conjunction with NASA's Jet Propulsion Lab. As a team, we did a rapid design of a mission that would capture an asteroid that would do a close fly-by of Earth, and put the asteroid into orbit around the moon (Cis-Lunar Retrograde Orbit). With the asteroid captured, a secondary mission to send human astronauts to the asteroid to mine it for material and return the samples to Earth would be performed. Asteroid mining is becoming an important project in the Space community, and being a part of this large mission was a lot of fun! Q: What's the most expensive innovation you've ever splashed out on? A: I think this probably has to be the series of Apple products that I own. Apple have created some fantastic, easy to use and very innovative products, and I own so many of them because they integrate so easily with each other, my office and my home. It makes working on the go easier and switching between devices seamless! I have also dual-booted my products so that I can use Linux and Windows operating systems on them. A: I'm going to sneakily give two pieces of advice! Firstly, make sure that your innovation solves a problem that affects people; make sure it's relevant. Secondly, work on a piece of innovation that really inspires you. Taking an innovation from idea to reality is a lot of hard work – doing it for something that you are passionate about makes it a lot easier and fun! Want to hear more from Sinead? She will be speaking at YiA Forum on 10th August. Tickets will go on sale on 1st June so sign up to our mailing list to be the first to know when they are released.